Salman Khan’s Eid release is out and fans have reciprocated the love. In just three days Race 3 has managed to collect a massive 106.47 crores in India theaters alone. The superstar has rightfully earned the title of ‘Blockbuster Khan’ and ‘The King Of 100 Crore Club’ as Race 3 is Salman’s 13th consecutive 100 crore film. This trend started way back with super fun cop Chulbul Pandey seen in Dabangg. The film collected a total of 138.88 crores in its lifetime which is very impressive considering it was 2010. Then 2011 saw two films namely Ready and Bodyguard bringing in a sum total of 120 crores and 142 crores respectively. After this each year Salman has managed to pump out an average of two movies per year. In 2012 the fans saw him in a spy thriller Ek Tha Tiger which brought in 198 crores and the sequel to Dabangg which collected 158.50 crores. 2013 was a break year as Salman did not come out with any films. With Jai Ho in 2014, the film is Salman’s lowest 100 crore film managing to accumulate 111 crores. Although with Kick, Salman was back on track and minted a cool total of 233 crores. 2015 was a superhit year for the star as both Bajrangi Bhaijaan and Prem Ratan Dhan Payo amassed totals above 200 crores. The critically acclaimed Bajrangi Bhaijaan bringing in a colossal 320.34 crores and magnum opus Prem Ratan Dhan Payo managing to collect 207.40 crores. The next year Salman again shocked audiences with another critic approved film Sultan which comfortably crossed the 300 crore mark. 2017’s Eid release Tubelight became a disappointment but somehow managed to collect a modest 121.25 crores but the next Tiger Zinda Hai hit the ball out of the park and is Salman Khan’s highest-earning blockbuster collecting a massive total of 339.16 crores. Akshay Kumar Will Enter The 200 Crore Club With Which Of His Upcoming Movies? VOTE NOW! Irrfan Khan’s Note Melt Our Hearts & We Want Him Back ASAP! 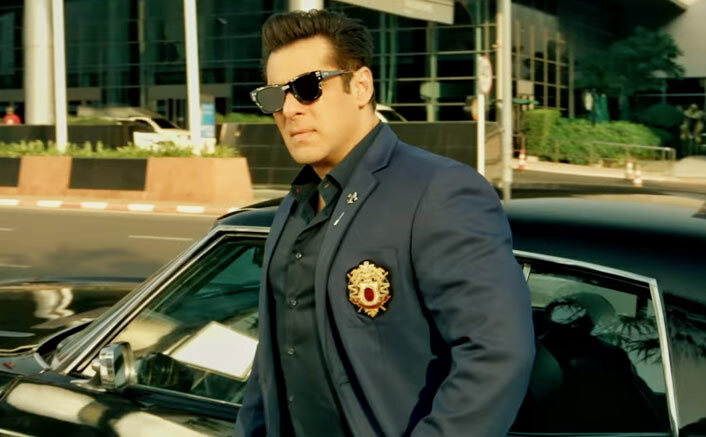 With his this year’s Race 3 stands at 120.71 crores after just four days and is expected to grow. With such loyal fan following, its about time Salman Khan rethinks on his script sense and intent of making films, and if he does good films from here on, you never know, he might become the first and only star to have more than 17 consecutive 100 crore films. Khan will next be seen in Ali Abbas Zafar’s Bharat which also stars Priyanka Chopra, Disha Patani and Sunil Grover in pivotal roles. The movie is set to hit the big screen next Eid. The post Salman Khan With Race 3 Becomes The First Actor To Hold This INVINCIBLE Record! appeared first on Koimoi.